Offshore pools installs custom Gunite pools. Gunite offers the customer exceptional design flexibility, plus an ability to personalize with almost unlimited possibility. With a large selection of tile and interior surfaces, along with the added option for custom spas, vanishing edges, unique water features, custom steps, benches and sundecks, homeowners can place a personalized stamp on their backyard creation. 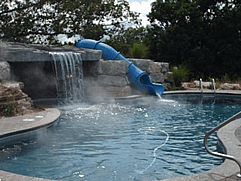 Gunite pools throughout the industry are regarded as the ultimate in backyard entertainment. Gunite is for truly discerning, where only the best will do. Contact us to go over the vast possibilities in creating the backyard entertainment area of your dreams. The combination of strength, durability and affordability, have made vinyl liner pools far outpace all other types of pool construction. 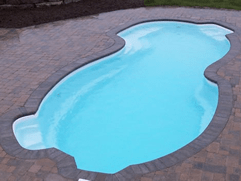 The ease of maintenance and almost unlimited potential in design and shape, along with the price point customer’s desire are a perfect fit for most pool consumers. Our manufacturer, Dolphin Industries, is located in Egg Harbor City NJ. They are renowned for their product’s high quality gel coat finish and not only in their pool construction, but also in some of the finest sport fishing yachts. Their product is also used for theme park rides, worldwide. Gunite offers the customer exceptional design flexibility, plus an ability to personalize with almost unlimited possibility. With a large selection of tile and interior surfaces, along with the added option for custom spas, vanishing edges, unique water features, custom steps. 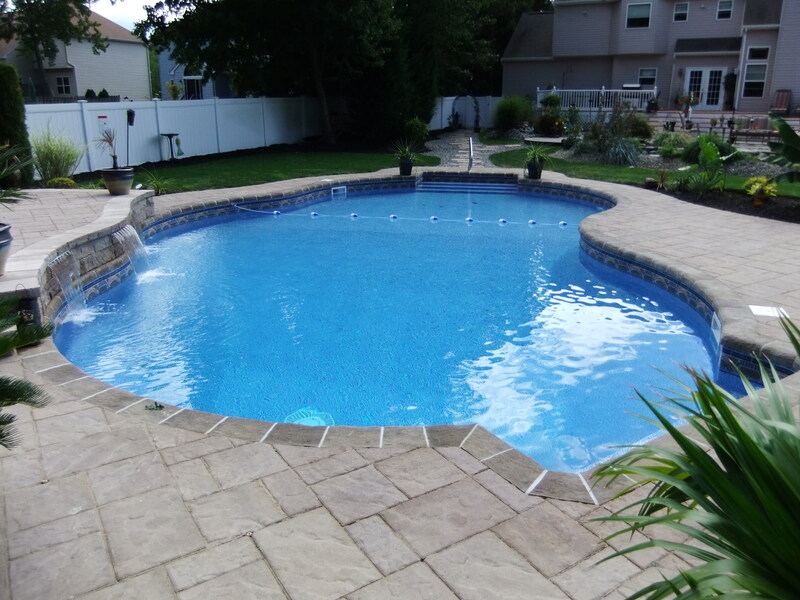 In ground swimming pools can come with a variety of standard or optional accessories. From filtration systems, heating systems, decorative lighting and equipment that can make your pool virtually maintenance free. For more than 40 years, Polaris has been known worldwide for its quality and best-in-class cleaning power. AquaComfort heat pump pool heaters are the result of over 25 years of continued innovation in energy efficient technology. Carl’s Fencing, Decking, and Home Improvement is a 2nd generation family owned and operated business with over 30 years experience.